FALL RIVER, Mass. — Southcoast Health announced today that BankFive has donated $100,000 to the Campaign for Southcoast Health — a $25 million capital fundraising campaign which is the largest in the not-for-profit healthcare system’s history. In recognition of the gift, Southcoast Health has invited BankFive to name the family waiting area in the Harold and Virginia Lash Heart and Vascular Center at Charlton Memorial Hospital in Fall River. BankFive has contributed more than $200,000 to Southcoast Health since 2010. 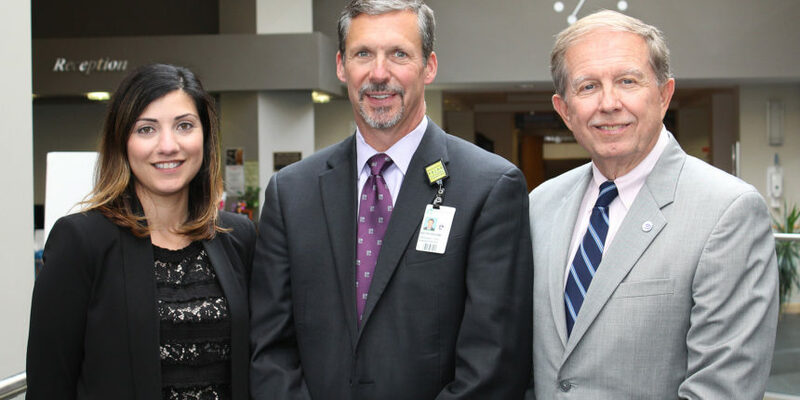 The Campaign for Southcoast Health is currently raising funds to support major capital initiatives across Southcoast Health’s three acute-care hospitals — Charlton Memorial, St. Luke’s in New Bedford and Tobey in Wareham. Currently, more than $17 million has been raised out of a $25 million goal. Southcoast Health’s Cardiovascular Services are nationally recognized for excellence. Healthgrades recently named Southcoast Health one of America’s 100 Best Hospitals for Cardiac Care — one of just four hospitals in Massachusetts to receive this distinction for six years in a row. Southcoast Health also received 11 additional recognitions for superior cardiovascular services, including Healthgrades’ Cardiac Care Excellence Award for the 12th straight year.